Honestly, this is the hardest question I’ve ever gotten from Seesaw. Because you’re engaging with deep issues of faith and truth, and I’m no rabbi. But that leads me to suggest that you should try to find someone who is. A priest or rabbi will be able to explain the theology you seem hungry for. He or she will offer context and perspective you probably won’t find on your own. And even if the answers aren’t entirely satisfying, you may find you like their community. And that could be a big step in the right direction. In my (personal) experience, children of intermarriage often seek answers in independent ways. When I was a college student I did this myself. I took Jewish studies classes, read lots of books, and then moved to Israel. Because I had no default or automatic community, I dabbled. Books couldn’t reject me or demand anything of me, and conducting my own religious education was liberating in many ways. I learned a lot. But there are moments that require community, and it sounds to me like you’re in one of them. Times of loss or doubt are exactly when a religious community is most important. 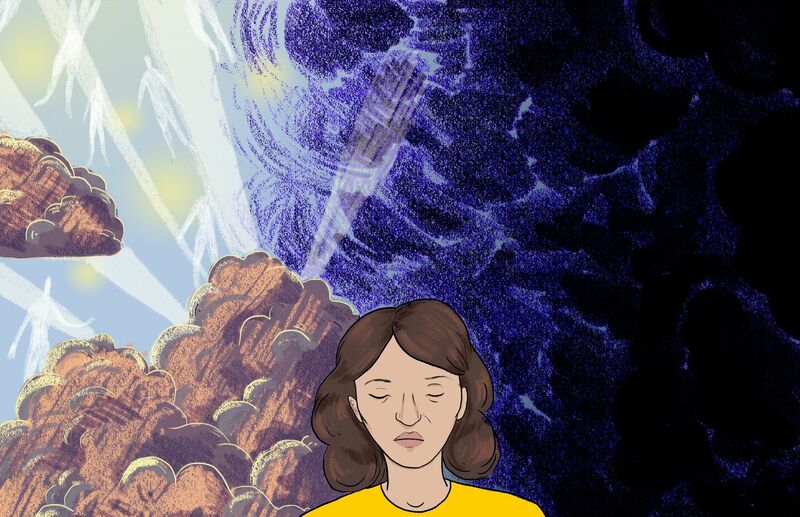 Not because anyone else can reassure you about the afterlife, but because loss and doubt are truly isolating, and it’s important to know you aren’t alone right now. There’s a reason Judaism requires a minyan for mourning. Some life events and questions require the power of other people, hands to hold. I think sometimes people feel like they can’t “join” or aren’t welcome until they can fully commit to certain beliefs. But often, the reverse is actually true.For a lot of people, the power of the community itself is a belief worth committing to. A sense of being connected to other people, and through them, to a shared past or tradition. I won’t try and tell you which flavor to choose. That’s a deeply personal choice you’ll need to make for yourself. But the fact that it’s YOUR choice doesn’t mean other people shouldn’t be sitting beside you as you make it.